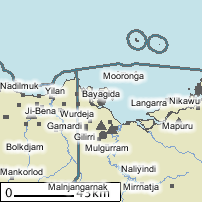 The Town is located on the eastern coast of the Northern Territory on the Gulf of Carpentaria. 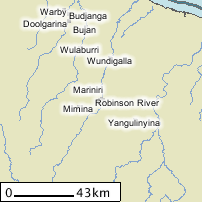 It is situated on the banks of the McArthur River. 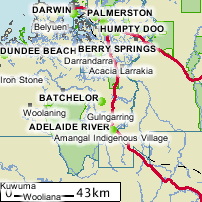 It is approximately 850 kilometres south east of Darwin, 670km east south east of Katherine. 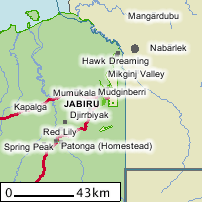 The Town is located 250 km from Darwin by sealed road east of Darwin in Kakadu National Park. 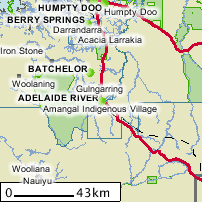 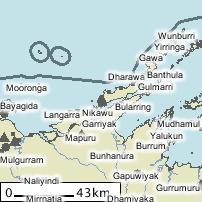 The Town is located about 1000 kms from Darwin. 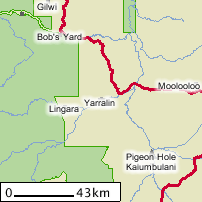 It is 700 kilometres to Katherine by road. 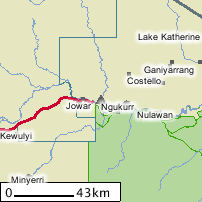 This road is a dirt track, which is only open during the dry season, ie. 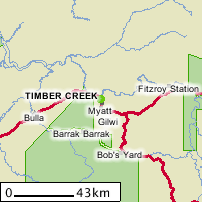 April to October, for 4 wheel drive vehicles ONLY. 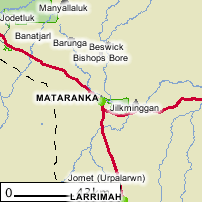 A permit is required from the Northern Lands Council Office to travel on this road. 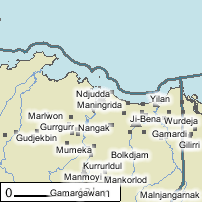 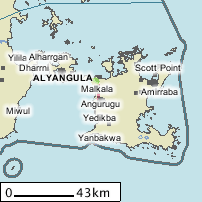 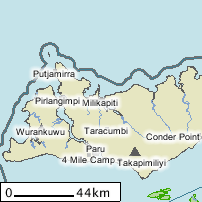 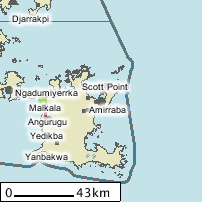 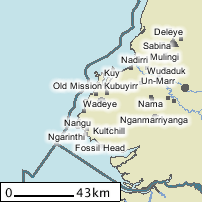 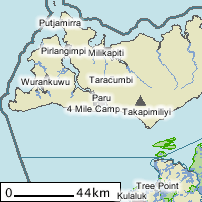 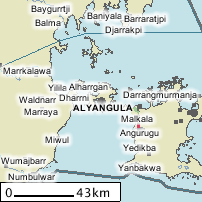 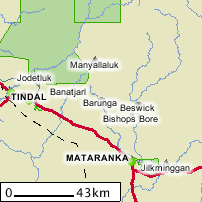 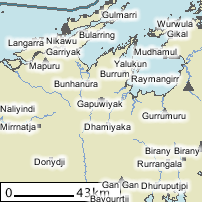 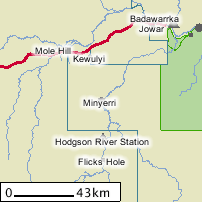 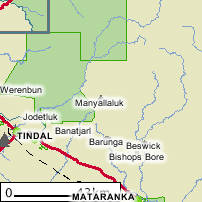 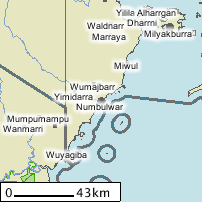 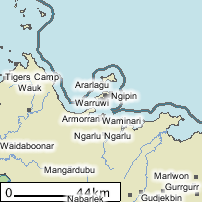 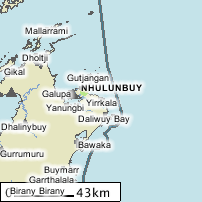 The community is on the north-west coast of Melville Island, which is part of the Tiwi Islands. 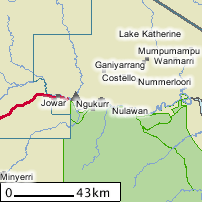 It is approximately 125km by air (30 mins) from Darwin. 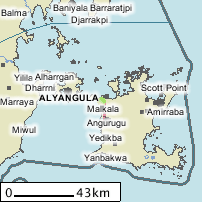 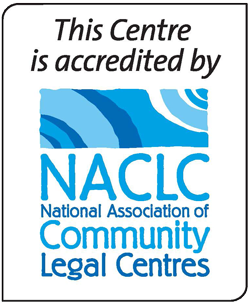 The community is located approximately 50 km east of Angurugu situated inside Little Lagoon, Point Langton on the northeast coast of Groote Eylandt. 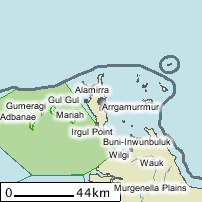 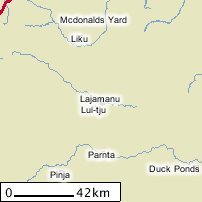 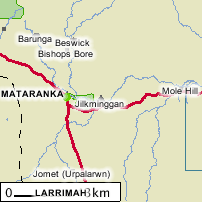 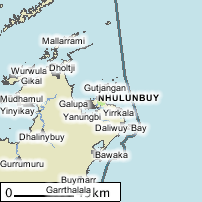 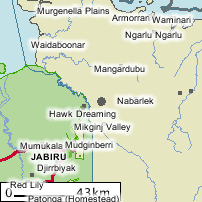 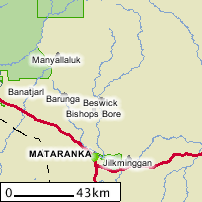 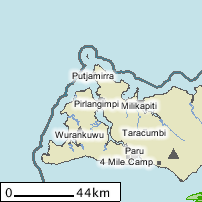 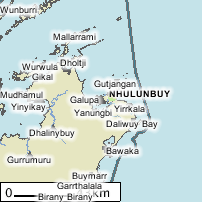 Umbakumba is approximately 50 km east of Angurugu on Groote Eylandt, which is 650 km east of Darwin and 50 km off the Arnhem Land coast in the Gulf of Carpentaria. 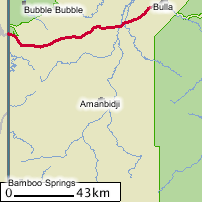 Apart from the fortnightly freight barge service from Darwin, Umbakumba is generally accessed by air. 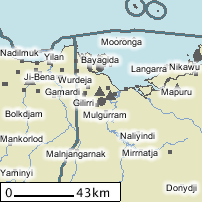 Groote Eylandt airport, located 1 km from Angurugu, is the main air access point for the island. 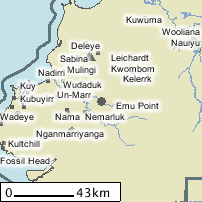 Owned and maintained by Gemco, the airstrip is sealed and there are flights to and from Nhulunbuy/Darwin most days. 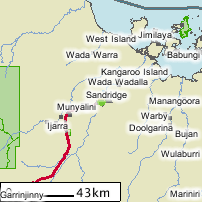 Travel time to Nhulunbuy: 30-50 minutes, to Darwin: 1.5-2 hours. 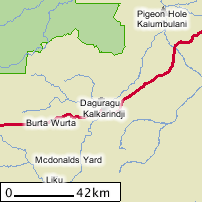 A 50 km dirt road links Angurugu to Umbakumba. 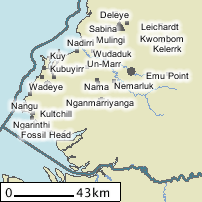 Charter flights can also be arranged direct to Umbakumba which has a dirt airstrip that can accommodate twin engine light aircraft. 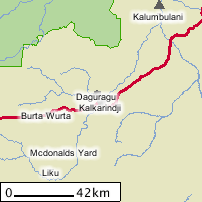 There is a reasonable dirt road from the airport to Umbakumba. 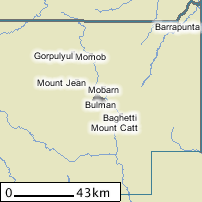 However, a 4-wheel drive is essential and given the number of rivers and streams, travel throughout the island during the wet season can be difficult. 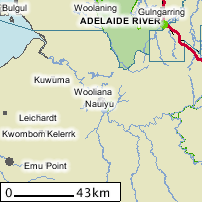 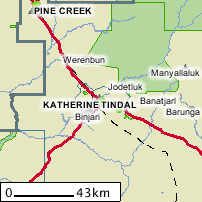 The community is located about 312km north east of Katherine. 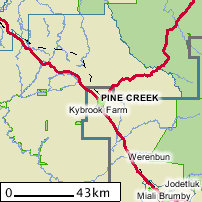 It takes about 3 to 4 hours to get to the community from Katherine by road.